It’s been a while since I last visited the land of the Little Mermaid, so when the assignment came up, I was eager to revisit Copenhagen, the Lilliputian capital of the Kingdom of Denmark, the oldest monarchy in Europe. I was also eager to visit my dear friends, Pia, Liva and Vaun, who rewarded me with new insights into this vivacious city by the sea. I reoriented myself, as a visitor should, by standing on the bright, flower-swept plaza, vividly yellow in an intense sun that’s too rarely seen in these parts. Hulking in the background is the medieval-looking castle, Denmark’s city hall, the Radhuspladsen. If the Danes are not crossing, then they’re sitting on a bench or at an outside cafÃ© enjoying the long days of summer after too many months of darkness. 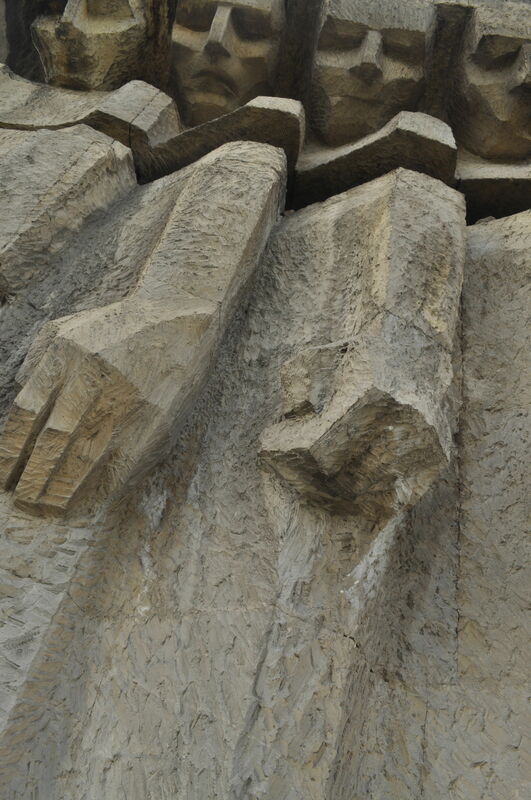 The first clue to the city’s unique ambience is the absence of fiery orators or victorious warriors, those kinds of statues that crowd most public places in most capital cites. The only figure here is one of a solitary, gentle-looking man in a tall hat, sitting on a stool, and gazing somewhat wistfully at the passersby. In his hand is a book; his finger marks the page in one of his famous stories. This is Hans Christian Andersen (the Danes just call him H.C.), Denmark’s famous son and the beloved author of so many sweet tales, including of course the Little Mermaid. Danes are also very laid-back. They like their beer (they make some of the best anywhere) and they like to eat and laugh. They consider themselves much more fun-loving than their Swedish cousins, a stone’s throw away. And they love their bicycles, the preferred mode of transportation here. The city is full of them. Hundreds of bikes line stalls, and even more wind their ways through the cobbled streets of the city. When I was there last, no one locked his bike. Today, alas, that’s changed. Some. But it’s still an incredibly law-abiding country, where folks never even think about crossing the street against the light…or while the sign says, “Don’t Walk,” even if there isn’t a car in sight. You could opt for a City Safari, a guided bike tour through Copenhagen, certainly a more active, non-traditional way of experiencing the city’s considerable charm. (City Safari. www.citysafari.dk). Another fun way to get an overview is with a Canal Tour. Copenhagen is not exactly Venice, but the intricate system of canals is impressive, a reminder of the times when this was indeed a major sea faring, Viking nation, and the city a major harbor. 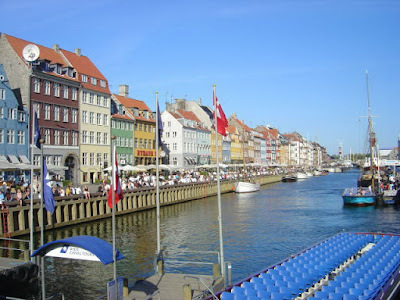 In fact ”Copenhagen” comes from the Danish meaning, “Merchants Harbor, the “Hagen” being “Harbor.” There are several kinds of guided Canal Tours, most concentrate on the numerous castles and churches of Copenhagen, but some offer an inner city dinner cruise along the waterways. (www.canal-tours.dk). I recommend the canal cruise as a perfect way to get a sense of the town. Departures are across the street from Christianborg (the House of Parliament) or Nyhavn, a sort of “old salt” section of town with sleek slops at anchor and some fun pubs. Everyone speaks nearly perfect English in Copenhagen, often better English than do our native speakers here. Getting directions is simply not a problem. My favorite pub? Snaren (2 Kompagistraede). I like its rough wooden tables, the fire in the fire place, and the merciful absence of a TV. Most Danish pubs eschew TV, preferring to enjoy each other and the great beer. Slightly north of the city is HelsingÃ¸r, the home of even a more famous Dane than H.C. Anderson. This is where the brooding, vacillating Hamlet agonized within himself whether to be or not to be. Kronborg, or Hamlet’s castle ( www.kronborgslot.dk) is actually an old custom’s inspectors’ building located on the strait between Denmark and Sweden, a 20 minute ferry ride away, and easily visible. As far as castles go, it’s interesting enough with some lovely 17th century tapestries, royal apartments, appropriately winding balustrades and ramparts. But its real power lies in the imagination. Imagine being in the courtyard where Hamlet staged his famous play (“the play’s the thing wherein I’ll catch the conscience of the king”)? Or stop and stare at the ghost of Hamlet’s father slithering along the castles walls to goad the hapless prince!